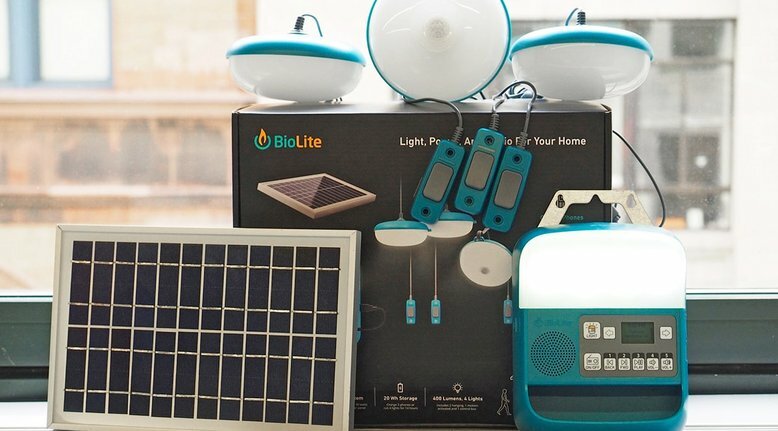 BioLite keeps upping the ante on their solar products. They started out with a solar kettle, and have branched out to other products like a water-resistant power bank. Now BioLite has released the SolarHome the next level of off-grid portable solar products. The SolarHome comes with a 6-watt solar panel and a 20-watt rechargeable solar battery, 3 overhead lights (one of them motion sensored), all packaged with a centralized control panel. This is ideal for campers or cabins, hunting structures or camping tents.